**ADDITIONAL COURSE SESSION DATES WILL BE POSTED SOON! As part of the classroom presentation on “Civilian Response to Active Shooter,” attendees will learn about proven options and strategies that can be employed in an active shooter/active threat situation to increase survivability during the timeframe that exists between when an active shooter situation starts and when the police arrive. During the “Emergency Casualty Care” portion of the training, attendees will receive classroom and hands-on instruction in specific bleeding control techniques which have proven to be effective during active shooter/active threat situations. The topics of tourniquets, pressure bandages, chest seals and other emergency casualty care treatments will be covered. 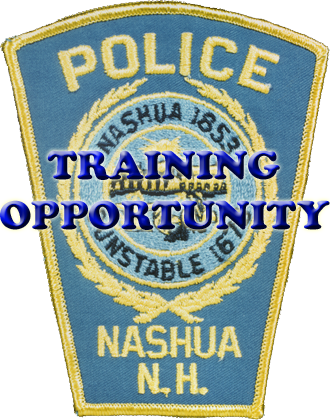 To register for the course, email Captain Joseph Fay at CRAS@nashuapd.com with the course session date you would like to attend along with your name, address, phone number, and email address. This training initiative is being conducted in conjunction with our collaborative partners from the Southern NH Medical Center, Nashua Emergency Management, and AMR Ambulance.